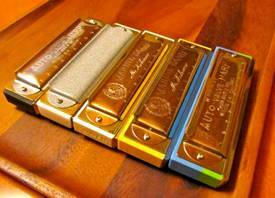 The Hohner Auto-Valve is a legendary Octave-tuned harmonica. It has been in the Hohner range for over a century and became a cherished favourite, along with other iconic Hohner models like the Marine Band and 270 Chromonica. However its thin-partition wooden comb was never comfortable in the mouth, and tended to warp. 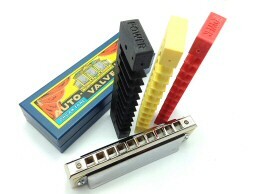 Harmonica tech guru and master player Rick Epping came up with an excellent fix: attach the Auto-Valve reedplates and covers to a 10 hole Hohner 260 chromatic comb, along with its smooth, comfortable metal mouthpiece. This combo plays and sounds GREAT, especially for Irish trad, and Rick has inspired many others to copy his idea. Notable Irish players who use it besides Rick are Mick Kinsella and Joel Andersson. However the 260 comb is still raw pearwood, and will warp after sustained use. 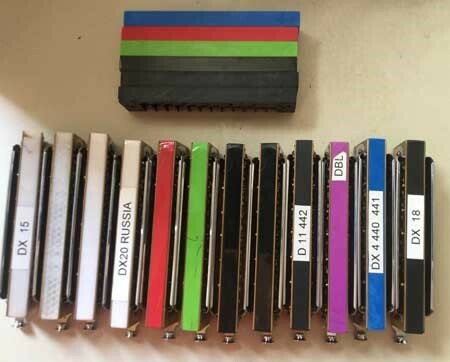 Plus the comb chambers are not the best shape for the Auto-Valve reedplates, which have different length reeds on either side. In answer to a request from Mick Kinsella I designed a new comb for this very cool harp from scratch, with gradually diminishing comb chamber volumes from bottom to top octaves for optimal airflow, and different chamber lengths on each side of the comb to suit the reeds (long on top, short on bottom). 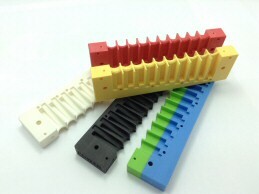 It is 3D printed in stable, non-absorbent ABS plastic, flat sanded on the reedplate surfaces, and comes in a variety of colours. 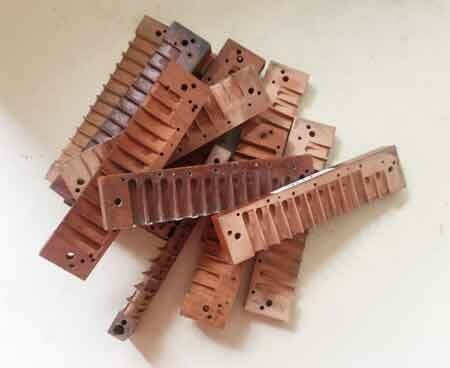 To attach the reedplates, use the nail holes in the upper reedplate as your guide for drilling holes in the lower reedplate. Tap the lower holes for the supplied screws; you can get the idea from my 260 and 270 PowerComb videos if you're not sure how to do it. 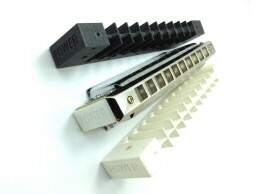 The metal mouthpiece needs to come from a Hohner 10 hole chrom, and you should attach with the Hohner mouthpiece screws. 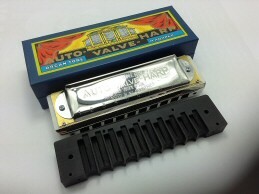 Then just attach the classic Auto-Valve covers and and play that thing! You'll be amazed at the sweet sound and easy playability of this classic harmonica on my PowerComb. 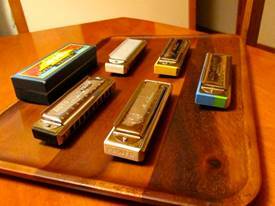 Thanks to the inventive Rick Epping for yet another great harmonica concept, now given a 21st Century spin!